This volume explores how conservative Christian schools are shaping education in America and in turn, students’ attitudes about diversity. Based on data collected as part of a year-long, ethnographic study of a K-12 conservative, Christian school in the South, this volume analyzes the way that diversity was thought about and acted upon in a school, and how these decisions affected students and teachers across racial differences. The book demonstrates that conservative Christian theology defined a school’s diversity efforts. It also reveals the complexity of addressing diversity in a context that is largely wary of it, at least in its typical secular usage. The findings presented in the book raise important questions about school vouchers, the influence of religious beliefs on educators’ decision-making in schools, the morality and existence of Christian schools, and diversity initiatives in white spaces. 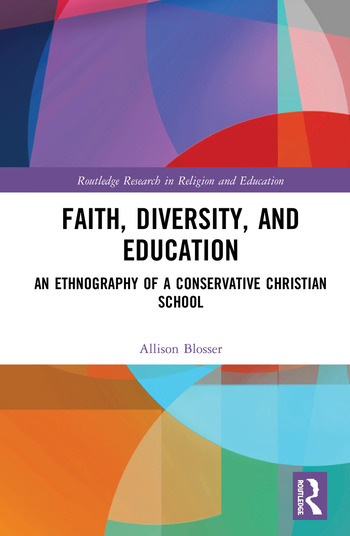 Faith, Diversity, and Education: An Ethnography of a Conservative Christian School will be of great interest to researchers, academics and postgraduate students in the fields of education, sociology and religion. Chapter One: Why Care about Christian Schools? Allison H. Blosser is Assistant Professor of Education at High Point University, USA.